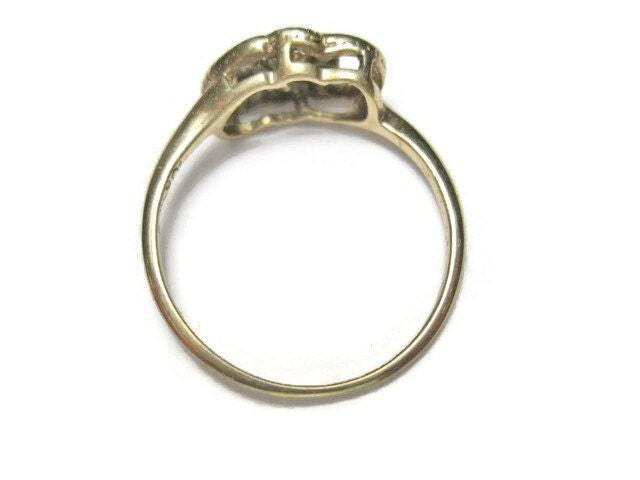 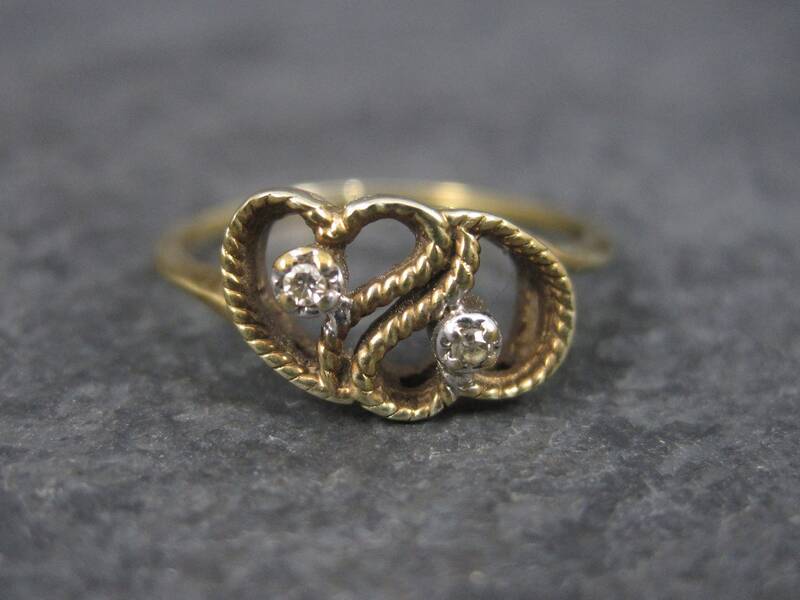 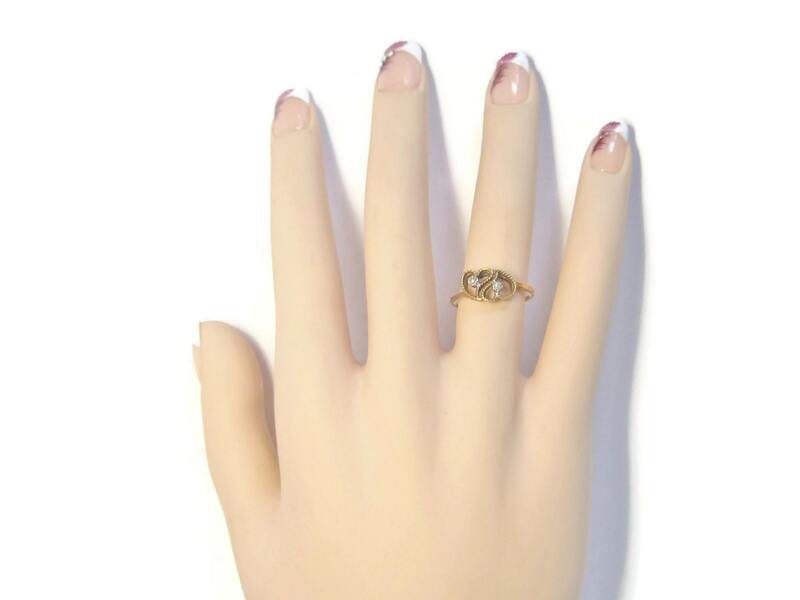 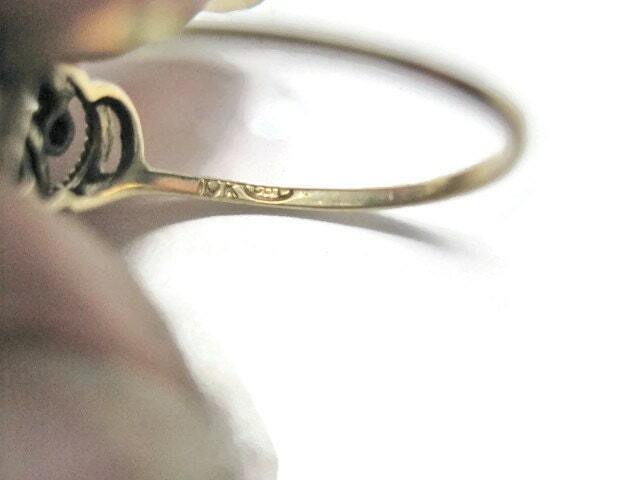 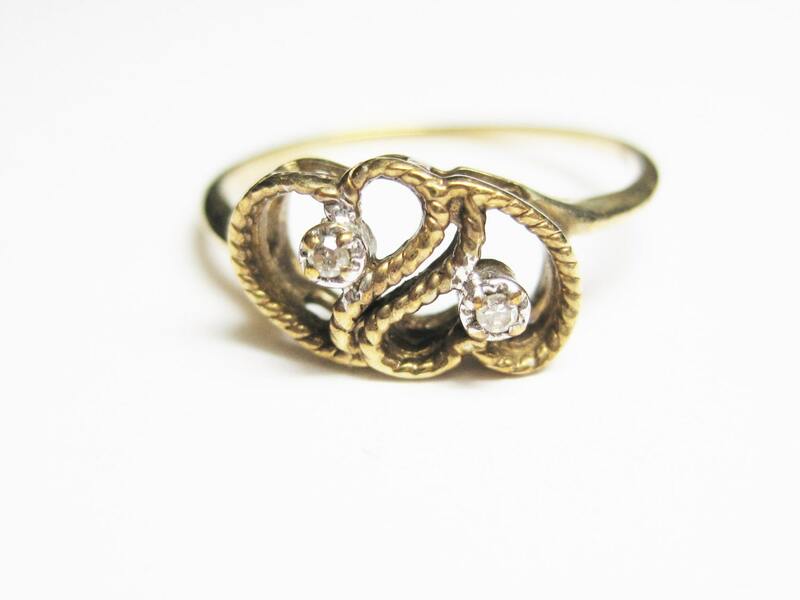 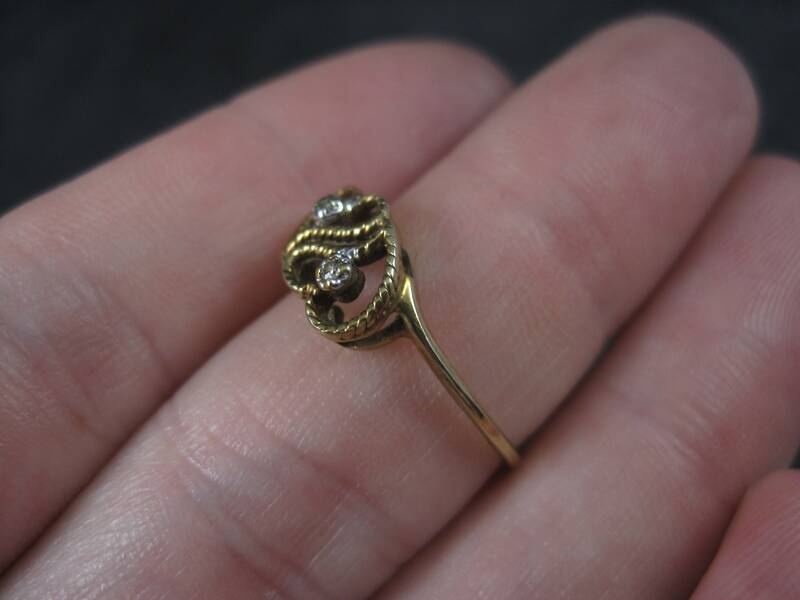 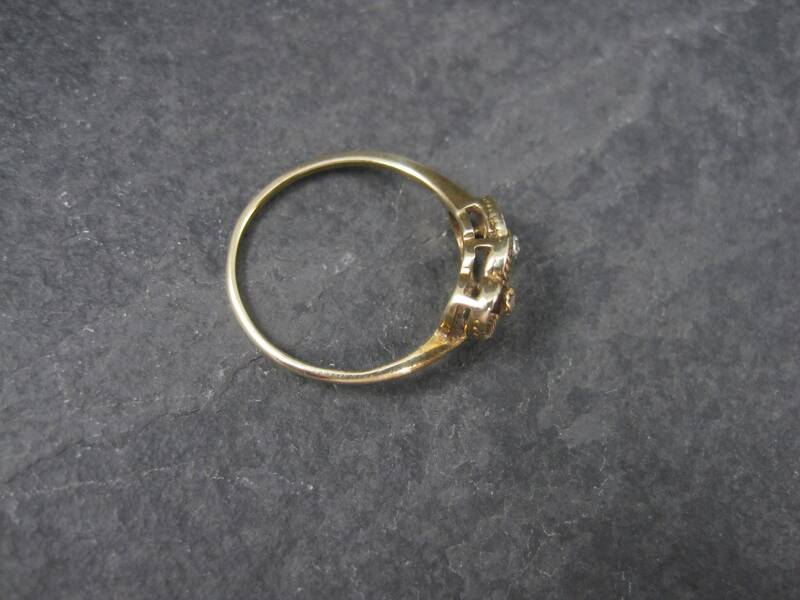 This beautiful vintage ring is solid 10K yellow gold. 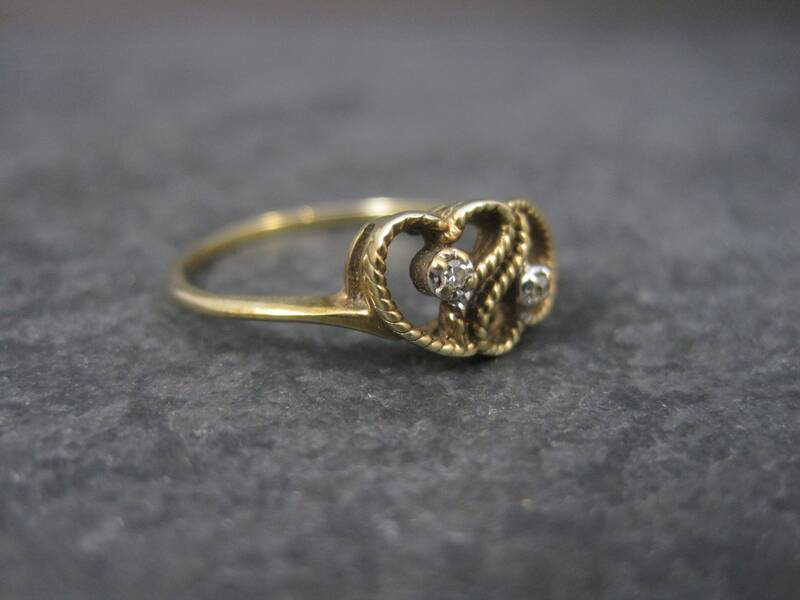 It features 2 textured hearts with a small diamond in the center of each. 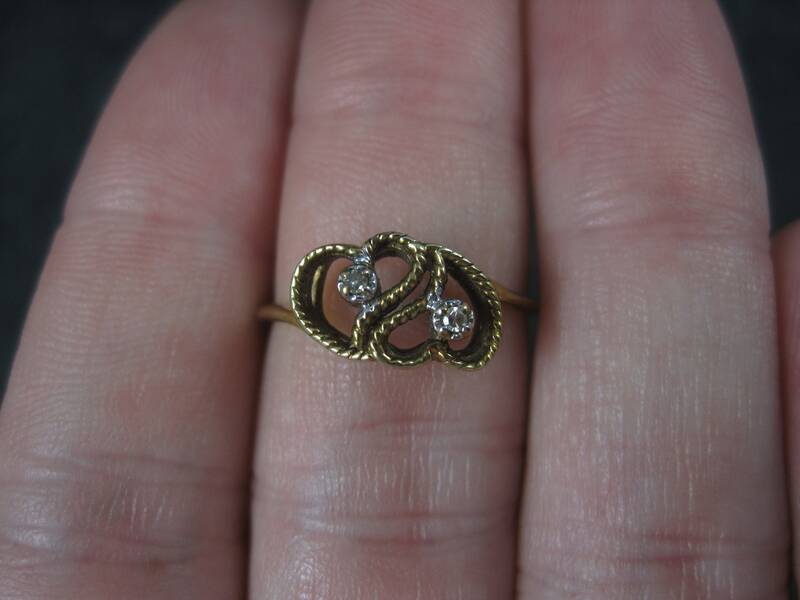 It is in great condition and ready to be worn.